It’s not quite Christmas yet, but as it’s the last Friday before the big event, we thought we’d wish you all a Merry Christmas anyway! How will you be celebrating this year? 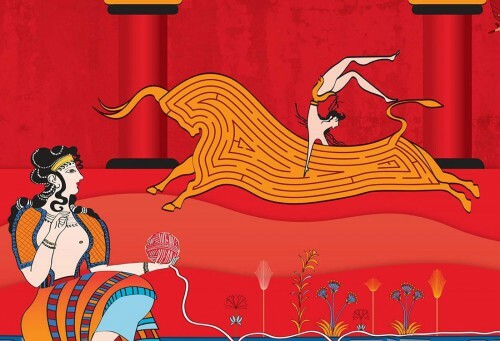 Minoan themed Coke Campaign features Crete! A luxury, modern summer house situated near Agios Stefanos village in Mykonos. 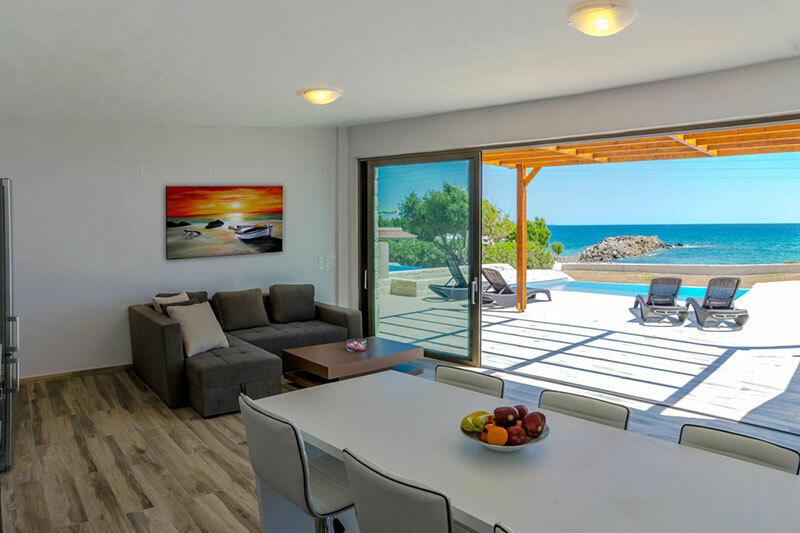 With close access to the village, beaches and Mykonos town, this is a great accommodation rental for a family holiday on the island of Mykonos. A fully renovated historical Cretan house offers families an authentic traditional Cretan atmosphere combined with comfort and luxury. 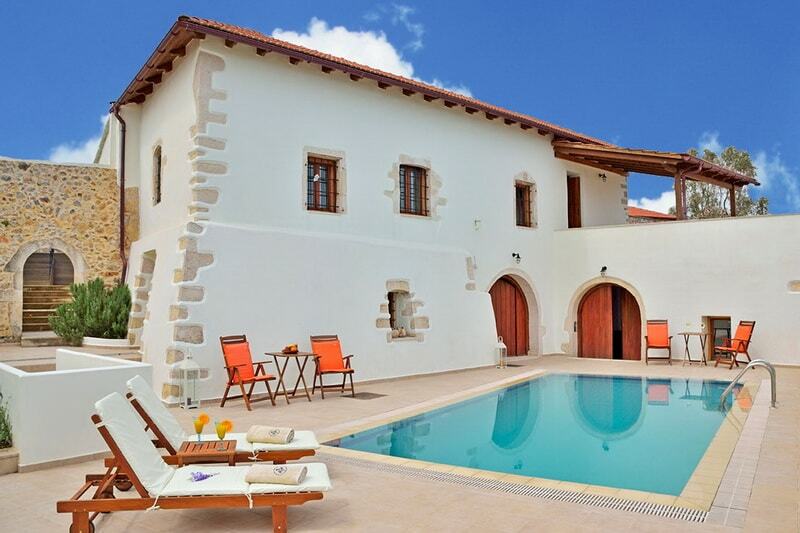 Mary Beach Tria family villa represents the perfect choice for a dream family vacation in Crete! A family villa with high modern and luxury standards, just a few steps away from a beautiful sandy beach. Rustic simplicity at its best as you lodge in a stone built eco cottage in the revived village and discover surrounding nature trails and wildlife. Worth a try is Melina’s Café where you will be pleasantly surprised by its distinct location in Anafiotika, Plaka. It has an old fashioned ambience that gives the feeling of being on a Greek island. Most romantic place in Greece… with Kids? According to a recent survey, Paris is the most romantic place in Europe. Which do you think is the most romantic place in Greece, where you would take your kids? One of the oldest established restaurants of the island. If you like home cooking then you should definitely try this taverna in Naxos town. Mikro Kavouri is located next to Divani hotel. There you will find shallow warm waters and sand, with umbrellas for children. Ideal for a refreshing splash when temperatures get dangerously high. One sea, two beaches…Always calm with no wind, Marathi beach overlooks the shores of Souda Gulf and Lefka Orifi (White Mountains) of Chania. Truly magical. Mucca is a small place with a doll house decoration and tables outside that will remind you of an Italian gelateria. It is the perfect choice for a bite of something sweet. If you are looking for something quick, just visit Meat Meat Meat in Tsakalof Street. If you believe that you and your kids deserve to be spoilt during your holiday, the hotel Mikri Poli (Little Town) is definitely the choice for you. It is located by a beautiful beach and its all inclusive package is worth every single euro. 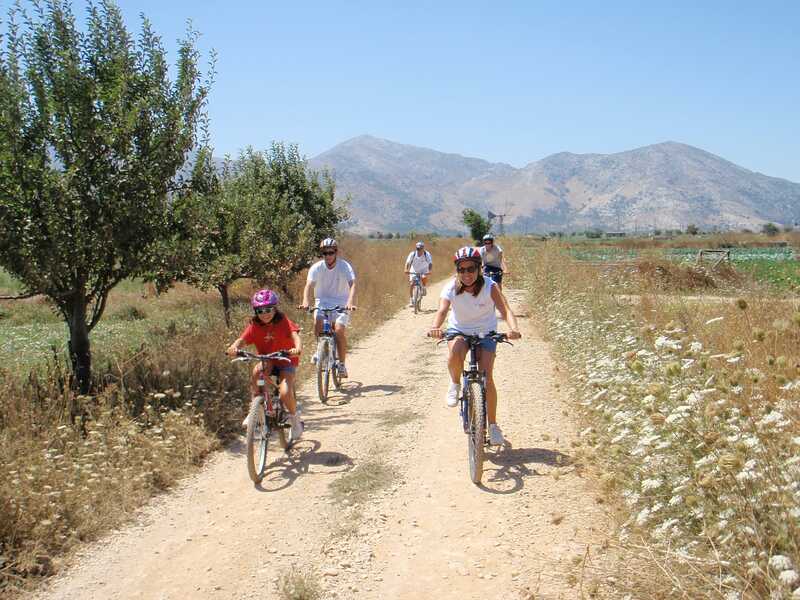 The Lassithi Plateau in Crete is a beautiful area for families to cycle around. With windmills, an eco-park, and a cave where Zeus was said to have been born, the views are amazing. Join this Mountain Biking for Families activity and prepare for some cycling fun in the sun! Mykonos Family Cruises – Sail The Greek Seas! 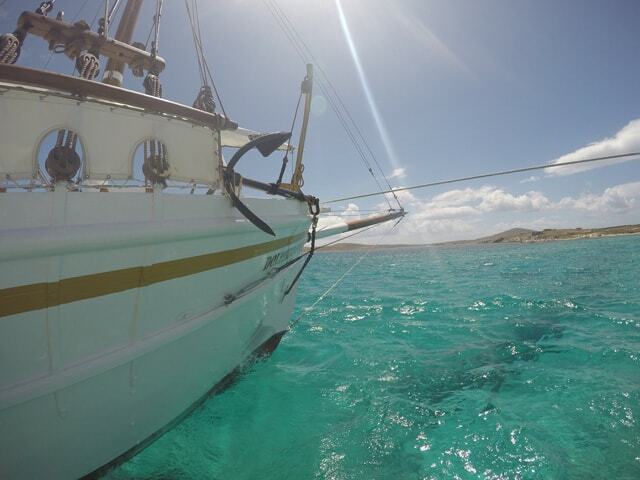 No family vacation in Mykonos would be complete without a family cruise to see secluded beaches or to visit Delos island! Ζήστε μια οικογενειακή περιπέτεια εξερεύνησης στον λόφο του Φιλοπάππου! Ανακαλύψτε με τα παιδιά σας τα "χρωματιστά στοιχεία" με πηγή έμπνευσης την αρχαία Ελλάδα και προσπαθήστε μαζί να ξετυλίξετε το κουβάρι του μυστηρίου! 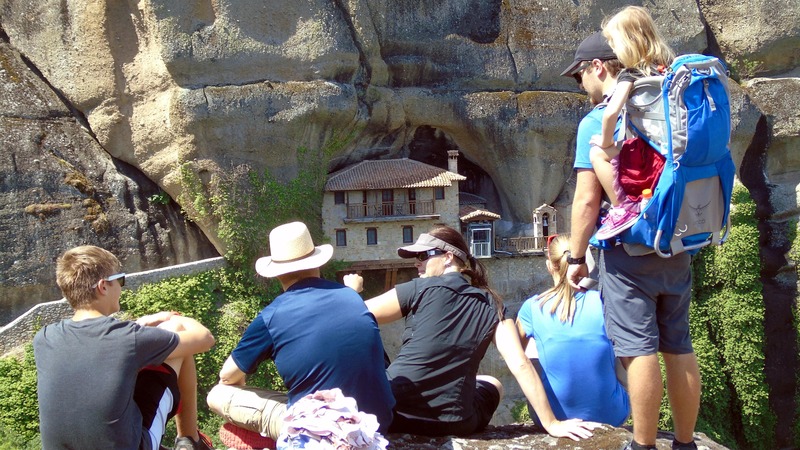 Family hiking in Greece to a bygone era of magical proportions that leaves visitors enchanted by doing this unique outdoor activity. 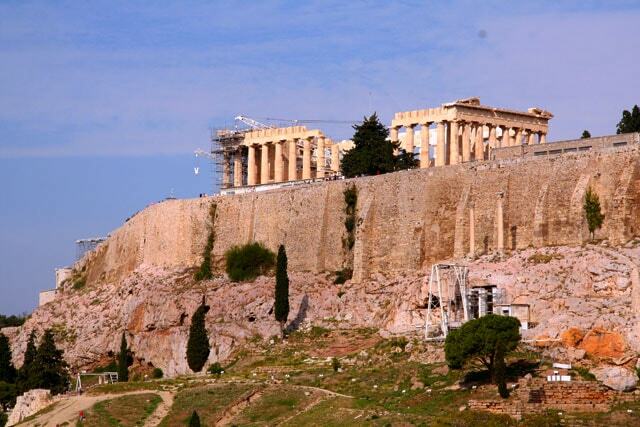 The view from Mount Lycabettus during the afternoon is not to be missed, with its 360 degree panorama of Athens. Take the cable car from Ploutarchou street and in 13 minutes you will be ready to enjoy an unforgettable experience!